Whether you’re putting on a party at work for a big achievement, celebrating a birthday or graduation, or having a wedding, the perfect cake can truly make the occasion. When it comes to cake, there’s little to complain about when you get it from the right source. It tastes great and it’s eye-catching, too. Sure, it might be a little high on the sugar and calories, but calories don’t count when we’re celebrating something, right? Getting the right cake is largely dependent on where you order it from. Sure, anyone can make cake out of a box, but for a truly artisanal and decadent cake you should be a little choosy before committing. You want to find the right place that will make your vision come to life while also tasting great, all at an affordable price. Hy-Vee might just be the bakery you’ve been looking for. Below, we’ll get into everything you need to know about Hy-Vee cakes, from their variety to their pricing to their overall quality so that you can place a cake order with confidence. What is Hy-Vee and What Do They Offer? Hy-Vee is a supermarket chain with hundreds of locations scattered throughout the Midwest. Their stores are located in Wisconsin, South Dakota, Nebraska, Iowa, Illinois, Missouri, Kansas, and Minnesota. In addition to operating as a traditional supermarket, Hy-Vee also offers catering and, of course, a bakery. Hy-Vees cake types include traditional birthday cakes, character and theme cakes, floral cakes, and even deluxe wedding cakes. Other offered baked goods include cheesecakes, pies, cookies, cupcakes, and party trays of varying pastry selections. In addition to standard-sized cookies, Hy-Vee’s bakery also offers huge cookies that are customizable and can hold a message. The birthday, themed, and floral cakes come in a variety of designs that you can browse through. They also offer custom cake services, however, for a variety of events. Wedding cakes fall under this type of custom cake umbrella, though you can order a custom cake for more than just the big day. They also offer customized dessert options for any occasion, such as a glorious tower of donuts. Hy-Vee has a wide selection of pre-designed cakes to choose from. For standard birthday cakes, they offer eight distinct designs. In terms of character and theme cakes, there are 36 designs at any given time. These cakes are modeled after popular children’s characters, such as superheroes, Sesame Street, and Moana. These designs are liable to both change and expand with shifts in youth pop culture. Floral cakes are available in 10 different designs. These cakes use highly skilled artisans to create beautiful flowers simply out of icing. Floral cakes take on a more mature, sophisticated design that is ideal for a gathering of adults. Each of the floral and birthday cakes, and some of the themed cakes, leave an open space in the middle perfect for a personalized message of your choice. So now that you know what Hy-Vee’s cakes look like, what about what they taste like? Hy-Vee offers a standard eight different flavors—they are able to other flavors per request, though you’ll need to get this pre-approved beforehand. It should be noted, however, that only whipped vanilla and vanilla buttercream are available as icing option for character and themed cakes. This is to ensure that the icing can be accurately colored and shaped for the designs of the cakes. We’ve talked about all their standard cakes, but what about the all-important wedding cake? Wedding cakes are very special affairs and take lots of time and effort from a master baker. Each baker will put their own spin and style on a wedding cake based on what the client wants. Because of this, Hy-Vee doesn’t offer standardized wedding cakes across multiple stores. Rather, Hy-Vee’s wedding cakes differ from cake artist to cake artist, and therefore from store to store. 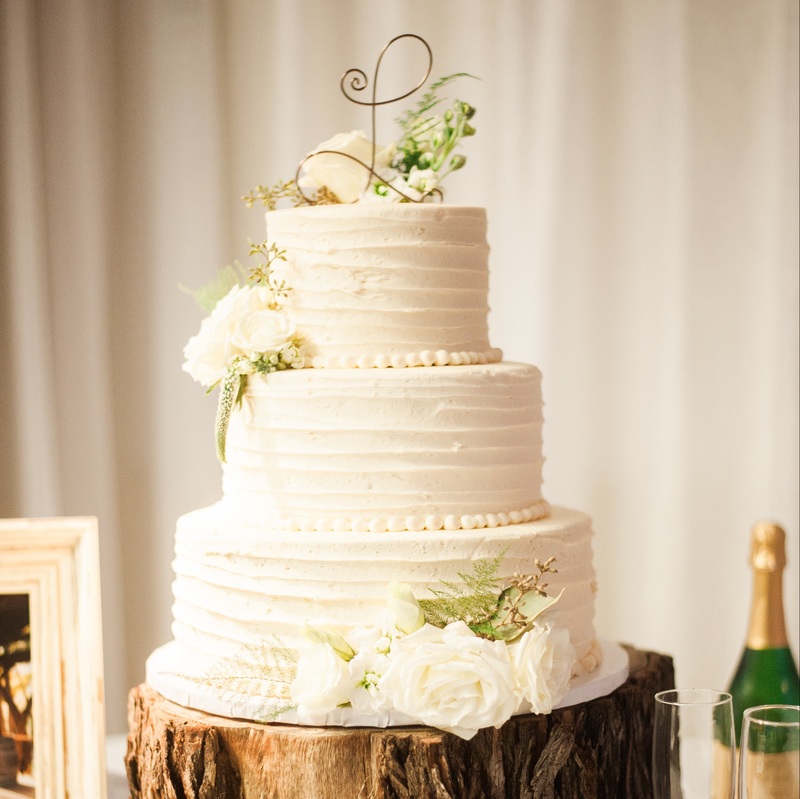 The best way to get an idea about what types of wedding cakes you can expect to get from a Hy-Vee location is to check out the individual store and their cake artists. They should have a portfolio of their own work for you to browse through, so you know that what you see is what they can do. It’s not uncommon for different Hy-Vee employees to show off their wedding cakes at cake showings, so this is a great way to see their cakes in person. These cakes are typically tiered and heavily decorated with unique flowers and other designs. Some of these cakes use ​fondant as a base layer for covering the cake as well as creating designs or add-ons, which will typically increase the price of any cake. Pricing of Hy-Vee cakes varies between selection and size. Most of the common, pre-designed sheet cakes are available in quarter-sheet, half-sheet, and full-sheet options. Floral and standard birthday cakes are available for the same price, though themed cakes typically cost a few dollars more. Listed below are the different prices available for each size and type of cake. Using the lowest number of servings for the smallest cake, these prices average out to be $1.37 per person. Going by the upper number of servings and larger sizes, the price per person can be well under $1. As with the floral and birthday cakes, these themed cases are relatively cheap per person. Using the price of the smallest cake and the lowest number of servings, the price per person is still only $1.75. As the size of the cake and the number of potential servings more than proportionally increases, the price of these themed cakes per person can likewise fall below $1. Hy-Vee doesn’t offer information about their standard prices of wedding cakes. These decorative, layered cakes will likely be a bit pricier than your average sheet cake. Many bakeries offer wedding cakes ​starting around $2.50 per person or more, though Hy-Vee’s natural inclination toward bargain prices makes it likely that their cakes are a bit cheaper. Prices between wedding cakes will undoubtedly vary, not only based on size but through ingredients, design, and whether or not fondant is used. Ordering one of the basic sheet cakes is nice and easy. You can order a cake in store, or right on their ​website, selecting the closest store to you for production and pickup. You can also type out your desired message for the cake right there on the website as you place your order. For special orders, however, such as wedding cakes and other unique creations, you’ll need to consult with someone in-store. Wedding cakes naturally require a higher degree of personalization, so it’s important that you take the time to convey your vision of the cake in person so that you and your baker both have clear expectations. The same guidelines go for any form of custom cake. Public perception of Hy-Vee cakes is overwhelmingly positive across various bakeries and stores. Customers praise Hy-Vee for their beautiful designs and delicious-tasting cake. Customer service throughout the various Hy-Vee locations is also highly praised, the bakers described as personable and caring. They work to ensure that your exact vision of what your cake will be like come to life. The sheet cakes are a great value and are naturally praised, but there’s a lot of love for the wedding cakes and custom cakes. Customers are not only satisfied with the quality of the cakes, but also at their affordability. So, should you turn to Hy-Vee for all your cake needs? If the positive reviews of thousands of Hy-Vee customers are anything to go by, then you definitely should! It may be surprising that a supermarket can deliver such high-quality cakes that leave each and every customer satisfied, but it appears that Hy-Vee has done just that. Their sheet cakes are a great value and their designs adored, but their customized and wedding cakes are really where they pull ahead. It might seem a little weird to order a cake for your big day from a supermarket, but you won’t be disappointed—you’ll even save a little money on the way.